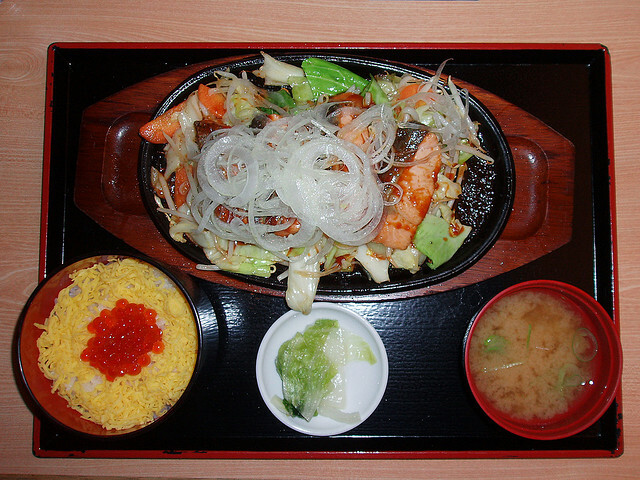 In Hokkaido (Japan’s northernmost island) we have a local dish called “chan chan yaki”. It’s a Hokkaido fisherman’s hot pot full of fish (usually salmon, sometimes trout) and vegetables. The “yaki” in chan chan yaki means “fry up” or “grill”. But what about “chan chan”? Actually, the source of the word is somewhat mysterious and many stories exist about its origin. I like the one claiming that chan chan is the sound made when you fry up the ingredients in a pan with metal spatulas.